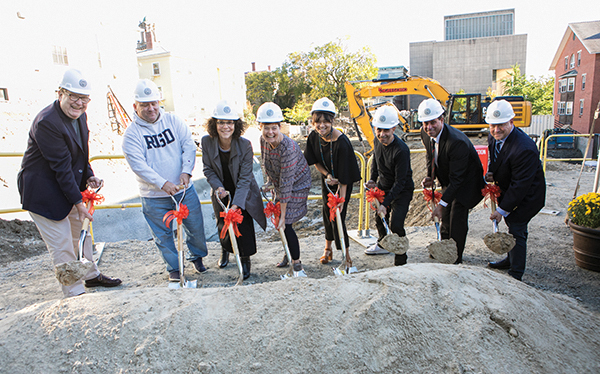 Providence, RI Shawmut Design and Construction joined Rhode Island School of Design (RISD) to break ground on the institute’s first new student residence in 30 years. storage, a shared kitchen, and outdoor terrace, and upon completion, it will allow for the phased renovations of Nickerson and Homer Halls. Slated to open in August 2019, the project will engage an Integrated Project Delivery Method (IPD) to collaboratively fuse the talents of the team.